This listing if for a set of two rings. 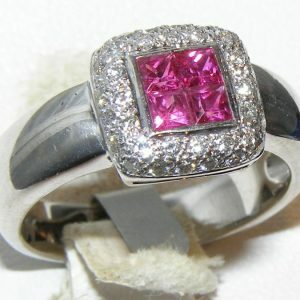 This is including a sapphire diamond platinum ring and a matching platinum diamond band. Both show extraordinary beauty and design and the finest craftsmanship has created this stunning ring set. The quality of both rings is top of the line. 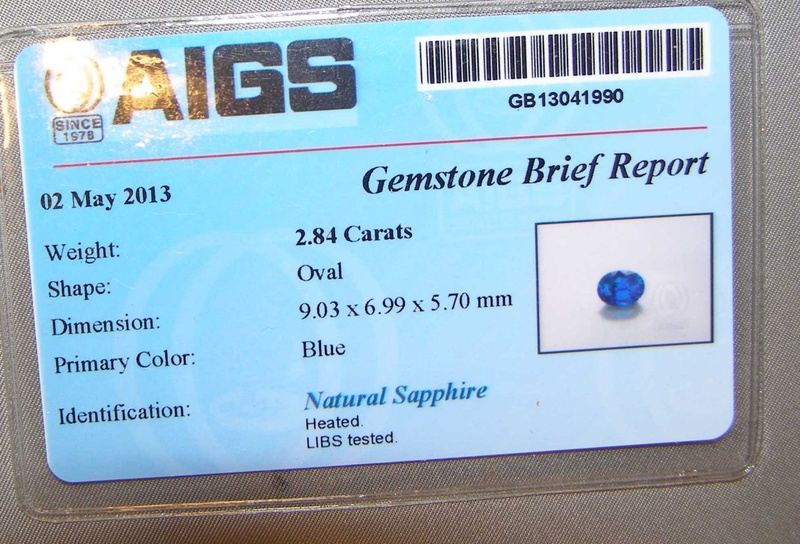 Text book cornflower blue color emanates from within this fine quality Ceylon sapphire that weighs 2.84 carats, measures 9.03 X 6.99 X 5.70 mm and is certified by the Asian Institute of Gemological Services (AIGS) as natural. 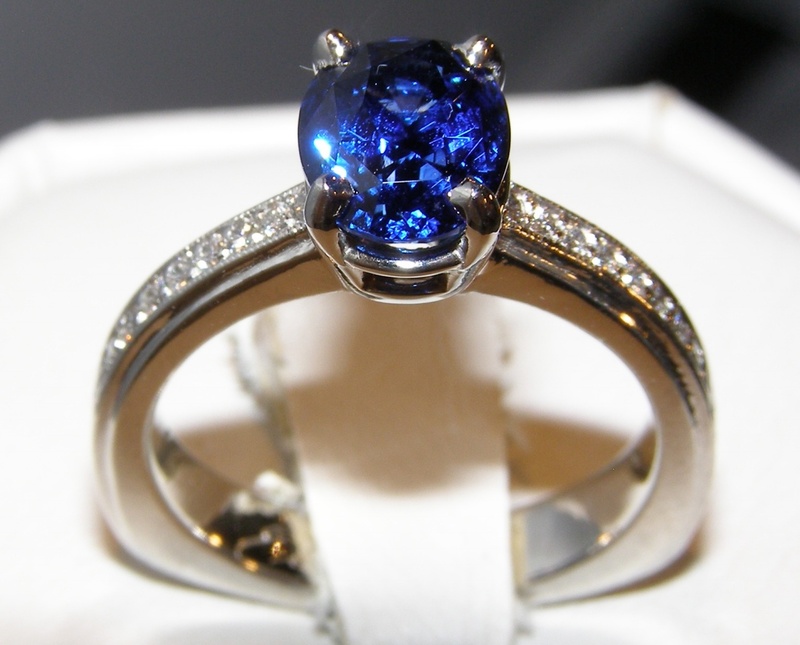 The sapphire is of the highest standard as it exhibits the stunning cornflower blue color at an ideal rich saturation point. 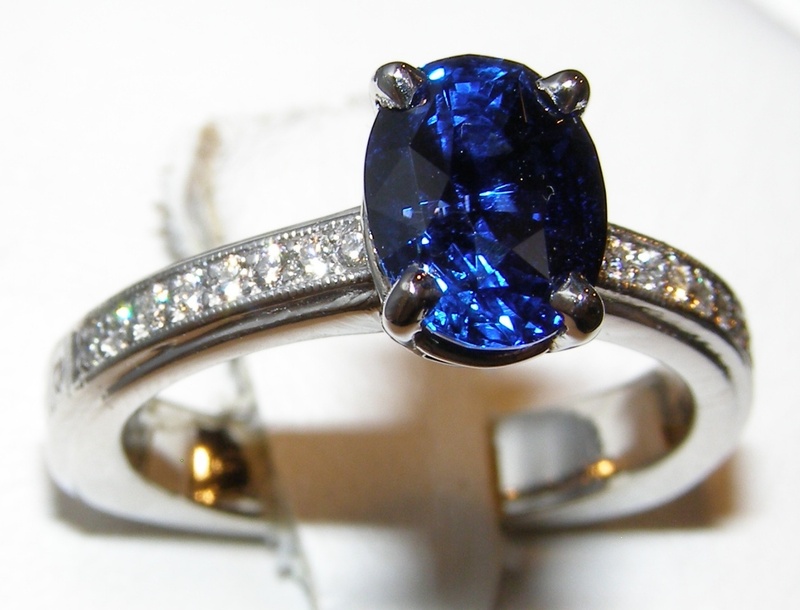 There is no color zoning or banding in this sapphire that would produce dark shadowed areas or uneven color. 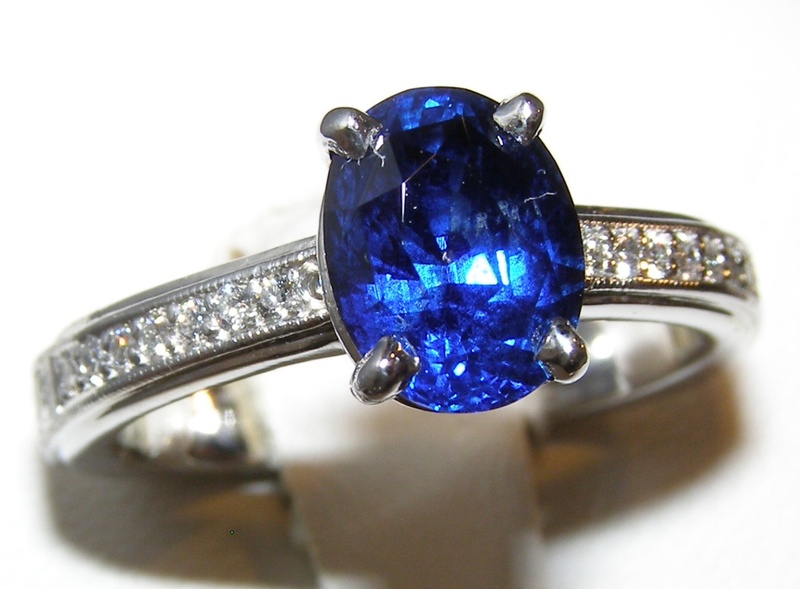 The sapphire has amazing color and saturation. 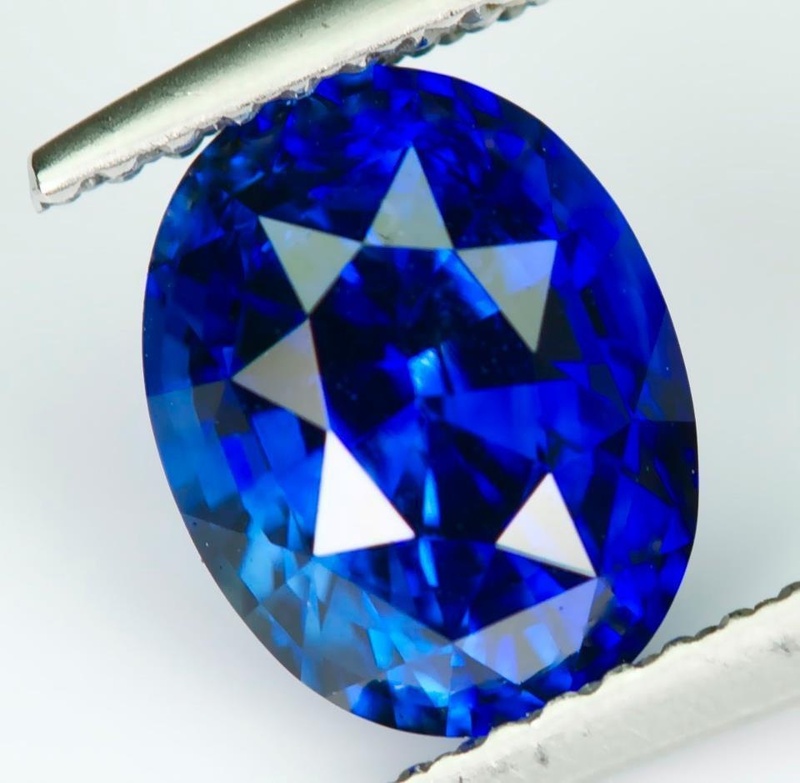 Oval brilliant cut with eye-clean clarity another world class qualification is exhibited which is this sapphire’s outstanding luster and brilliance. 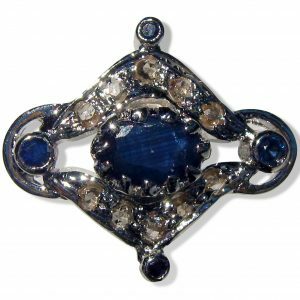 Prong set in a basket setting the sapphire is afforded maximum light exposure to showcase its bright neon like blue color and dazzling brilliance. 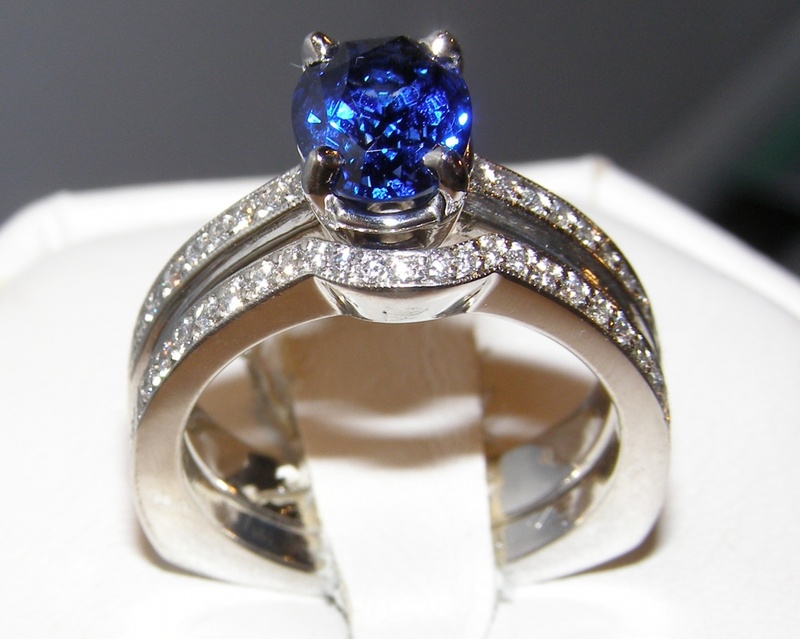 The sapphire is mounted to a very high quality platinum ring that has ideally faceted round brilliant diamonds pave/bead set into the ring’s shoulders. Beautiful milgrain edges are added to lend a vintage or Art Deco inspired design and further attest to the quality of this set. 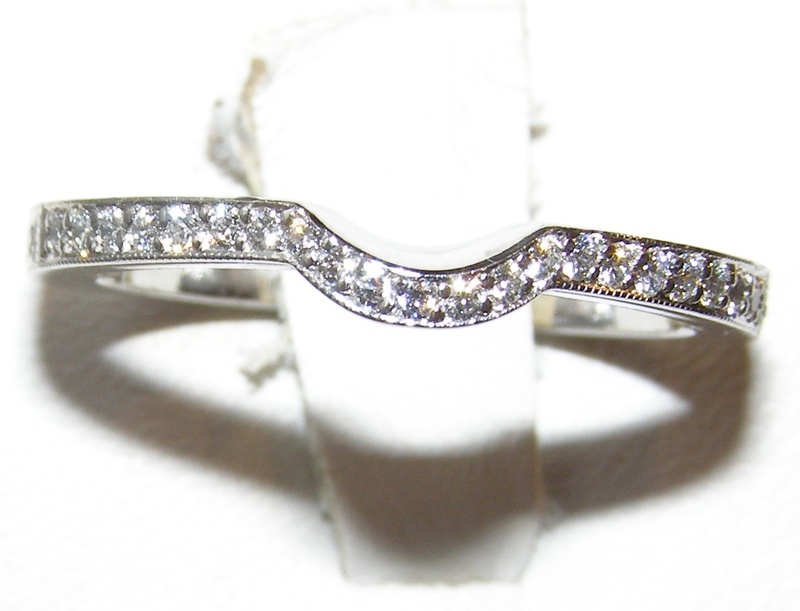 These diamonds are highly graded VS2 clarity and E color! 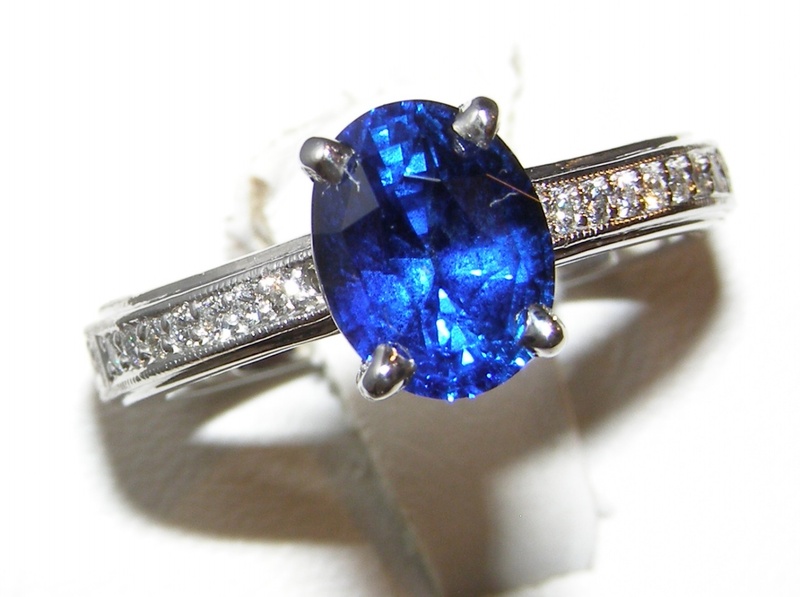 In total the sapphire ring has 0.50 carats total diamond weight and the matching diamond band has 0.25 total carat diamond weight. 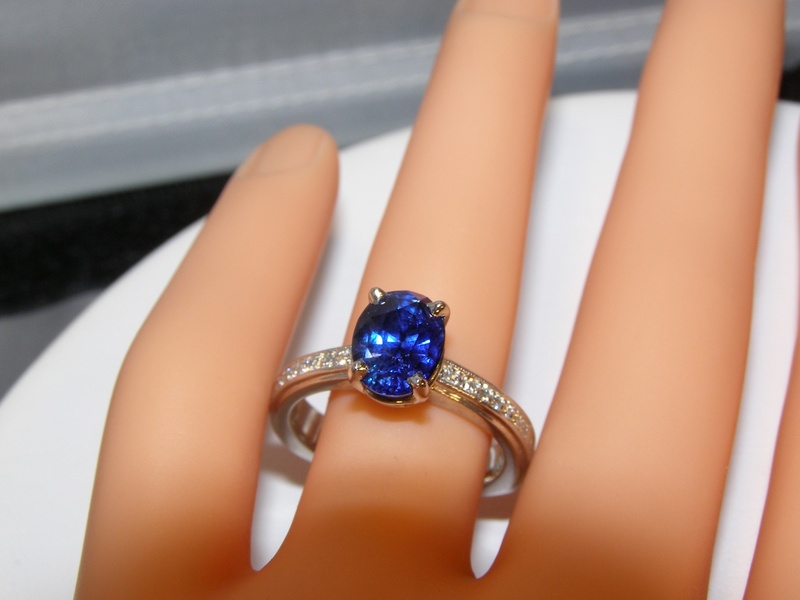 The set combined weighs a substantial 20 grams of the finest 950 cobalt platinum and is a size 6 3/4 (please let us know your sizing request as this set can be re-sized).